Our medium starter sets are perfect for schools that want to introduce a token rewards or voting system for the school in a public area. 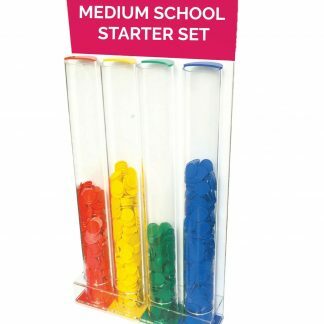 Also suited for the classroom, the starter sets are a fantastic way to get feedback from students, reward good behaviour, and to introduce a sense of competition for an upcoming school event such as a sports day. Add a reward system to your school the right way with the TokensFor reward systems range.